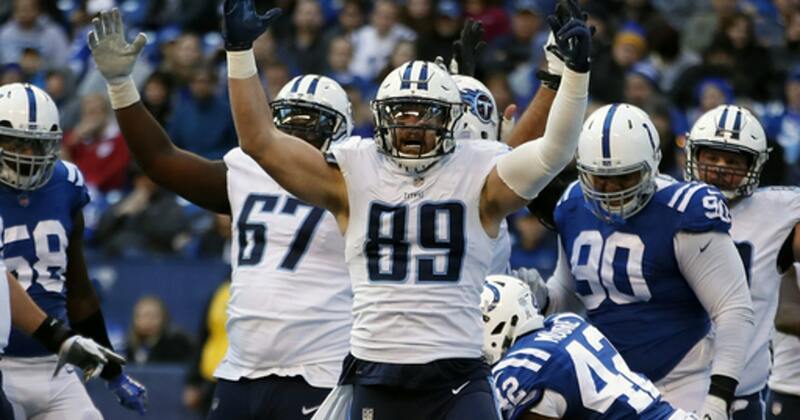 NASHVILLE, Tenn. (AP) Staying atop the AFC South and chasing the franchise’s first playoff berth since 2008. The Tennessee Titans insist that’s their only focus when they host the Houston Texans on Sunday, needing a win against the two-time division champ to stay exactly where they want to be. The Titans do hope they learned a painful lesson. They went to Houston winners of two straight and left embarrassed as Houston scored the most points in franchise history, with Titans quarterback Marcus Mariota missing the second half with an injured left hamstring. Now the Titans (7-4) have won five of six and are coming off their first win at Lucas Oil Stadium after beating the Colts 20-16 last week . That victory moved Tennessee back ahead of Jacksonville atop the division, and Titans defensive lineman Jurrell Casey says that simply makes Houston (4-7) next up. “Another opponent in the way to our final goal that’s trying to get to the playoffs and try to make it to the Super Bowl,” Casey said. The Texans are in the midst of consecutive road trips that included a 23-16 loss Monday night in Baltimore . The injuries keep coming, with two more players joining Deshaun Watson, J.J. Watt and Whitney Mercilus on injured reserve this week. Coach Bill O’Brien, who is 6-1 against the Titans, said he isn’t taking much from their earlier win in this series. MARIOTA’S INTERCEPTIONS: The Titans quarterback has been intercepted six times over the past two games and now has a career-worst 12 picks in his third season. Mariota has been dissecting film to see what he can do better, but it’s not an experience the quarterback likes. Mariota says that ticks him off. LEFT TACKLE TURNSTILE: The Texans will be starting a different left tackle with Chris Clark now on IR. The Texans have started four left tackles this season, including Duane Brown getting one start before being traded to Seattle. O’Brien said he was looking at their options, though Kendall Lamm started the opening loss to Jacksonville and replaced Clark when he left the Baltimore loss. HEY TOM: Houston quarterback Tom Savage has started the last four games with Watson out, and Savage has more interceptions (five) than touchdown passes (four). He’s also been sacked 15 times already, and has lost seven of eight fumbles in six games this season. “Tom’s got to do a better job of protecting the ball,” O’Brien said. GROUND DEFENSES: The Titans had their worst day stopping the run in that loss in Houston as the Texans piled up 173 yards. Now the Titans rank fifth overall in run defense, holding opponents to an average of 89.2 yards per game. Since the loss to Houston, Tennessee has not allowed an opponent to run for 100 yards – the first time this franchise has done that since 2007. Only Philadelphia (seven) and Pittsburgh (six) have done that for at least six games this season. DEFEND HOPKINS: Texans wide receiver DeAndre Hopkins leads the NFL with nine TD catches, and he’s second in the AFC with 1,004 yards receiving. He’s averaging 111.1 yards receiving in the past seven games against the Titans. Tennessee held the Colts’ top receiver, T.Y. Hilton, to two catches for 15 yards last week.